These are 25 best states for construction managers, workers who are the highest paying among all occupation in the construction sector. On this list, you will find places where constructors earn as much as $140,000 per year. However compared to other management professions, which require BA degree, construction managers belong to the group of the lowest compensated. The median pay of $87,400 is $45,000 lower than how much architectural and engineering managers earn. America’s construction industry, which is the second-largest in the world, has recovered from the hit it suffered during the economic crisis and it is expected to remain robust in following two years. The non-residential building sector is projected to record 5.6% growth which will be mainly driven by investments in hotel, office, and amusement construction projects. Also, the industry might further expand if announcements about large investments in infrastructure come true. According to the Bureau Labor of Statistics, there are 239,640 Americans working as construction managers and the majority of them are employed in the non-residential building sector, which will continue to experience growth during 2017. The best paying sector for constructors is depository credit intermediation, but this is also an industry which employs less than 100 constructors. Compared to some other workers in building industry, construction managers can count on moderate job growth. Projection Central estimates that 4.8% job increase for the occupation by 2024, while 7,000 new openings will be available per year. The state which will see the greatest increase in number of those is California, which is also the place where the highest number of construction managers currently work. Since construction managers are responsible for planning, coordinating and supervising all phases of construction projects they need to possess manager and business skills as well as knowledge about construction regulations, methods, materials, etc. There are a few ways to become a construction manager. One is to accumulate great experience as a construction laborer and then advance to the constructor position. Note though that large building firms, some of which are presented in our article 10 Biggest Construction Companies in the US, usually want that their employees have a solid educational background in relevant fields. So the other much common path includes obtaining BA degree in construction science or similar. And those who do not want to spend four years on schooling can combine the associate degree with experience in the building sector. Finally, although construction managers are not required to have a certificate, this piece of paper gives them a competitive advantage on the job market. 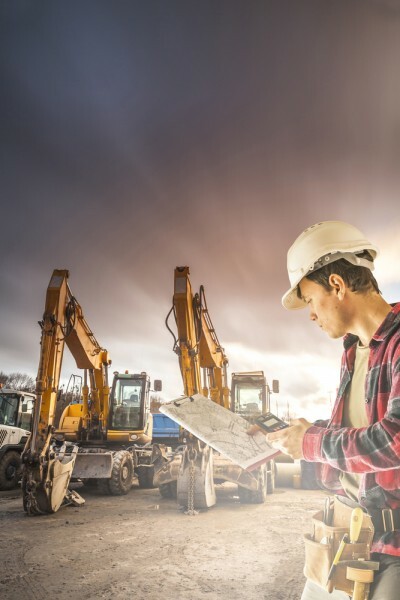 We created the list of best states for construction managers focusing on annual mean wage, the number of employed constructors per 1,000 residents and how much the demand for the occupation will increase by 2024. The data for first two criteria were obtained from BLS, while information about job prospects were found at Projections Central. We ranked states by these three criteria and then calculated average ranking to come up with this list. 10 Biggest Construction Companies in the US 25 best states for construction managers Alaska construction managers wage job growth Arizona construction managers wage job growth California construction managers wage job growth Colorado construction managers wage job growth Connecticut construction managers wage job growth construction management career construction management jobs construction management salary Delaware construction managers wage job growth Florida construction managers wage job growth Georgia construction managers wage job growth Hawaii construction managers wage job growth highest paying construction jobs in the world highest paying jobs in the construction Iowa construction managers wage job growth List XFinance Maryland construction managers wage job growth Massachusetts construction managers wage job growth Nebraska construction managers wage job growth Nevada construction managers wage job growth New Jersey construction managers wage job growth New York construction managers wage job growth North Carolina construction managers wage job growth Ohio construction managers wage job growth Oklahoma construction managers wage job growth Oregon construction managers wage job growth Slideshow Texas construction managers wage job growth Utah construction managers wage job growth Vermont construction managers wage job growth Virginia construction managers wage job growth Washington construction managers wage job growth which states has the highest number of construction managers?